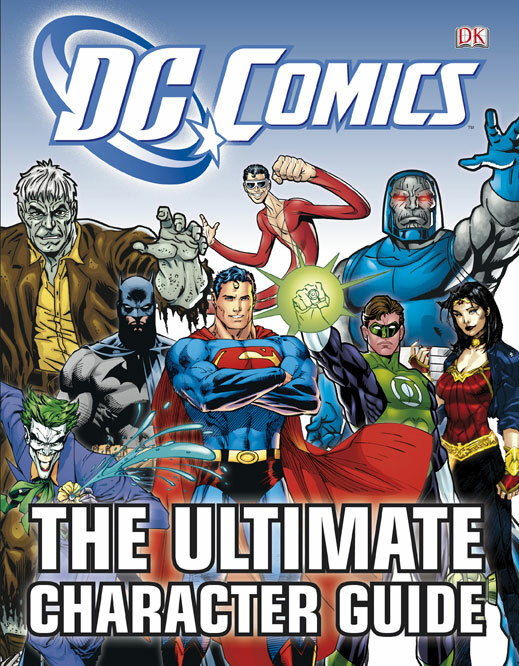 DK Publishing recently released DC Comics: The Ultimate Character Guide by Brandon T. Snider. This 208 page book covers a variety of DC characters, including Firestorm and Killer Frost! I don’t own a copy of the book yet, but I recently corresponded with the author and he let me know the Brightest Day incarnation of Firestorm is represented. With all the changes coming our way with “The New 52″, be sure to pick up this book as a snapshot of the DC Universe just before the change! Here is a link to the book on Amazon! 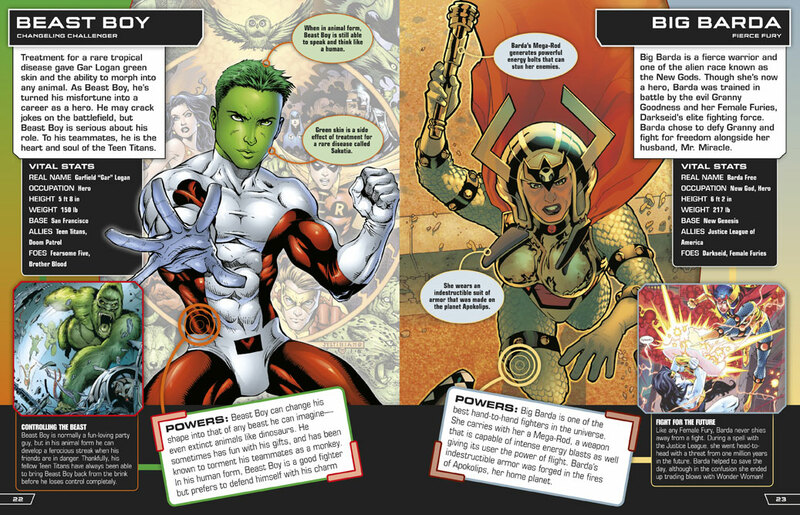 Below you’ll find a few pages featuring Batman, Batwoman, Beast Boy, and Big Barda! Click each image to enlarge. Support Firestorm (and DC Universe: The Ultimate Character Guide)! Fan the flame! Don’t forget to come back this Friday for an all-new interview with Firestorm creators Gerry Conway and Al Milgrom! Gerry and Al were kind enough to sit down with me for a lengthy discussion as we prepare for the release of the Firestorm: The Nuclear Man trade paperback! See you on Friday! Posted in: Firestorm #08: Brightest Day (Ronnie/Jason), Killer Frost. ← Why Does Yildiray Cinar Hate the Planet Earth? i was just looking at this book at a comic shop late last week by chance. it’s put together pretty nice and it’s about an inch or so thick and hard bound too! plus the cover price is quite reasonable i seem to remember it going for around $16 – 17. I just bought this today (we’re a day ahead of the US here in New Zealand, but a week behind in comic shipping) because of the Firestorm entry. I’ll send you a shot of the relevant pages. The timing of the release is a bit bizzare though. 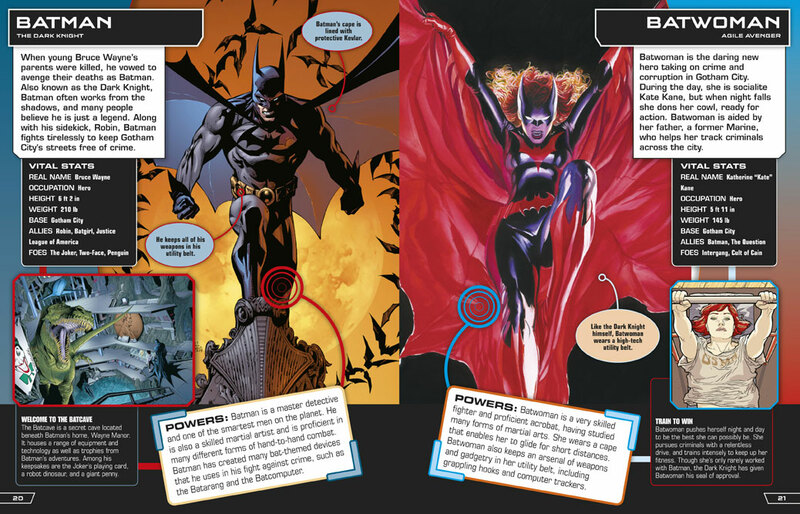 Looks cool, but I like the DC Encyclopedia and its thorough style a bit more. Good point Brandon…wonder why they’re putting it out when most of it “won’t exist” anymore???? Hopefully that means there will somehow be room for New DC and DC Classic?